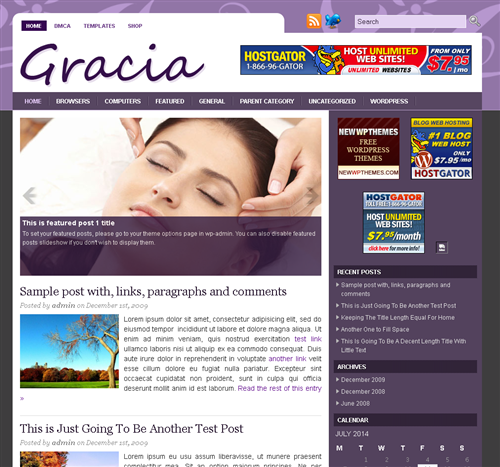 Gracia is a free premium WordPress theme with featured content option. Suitable for any niche. Theme Options at admin panel. This SEO optimized two columns fixed width themes is compatible with latest Wordpress versions. Admin options features include Featured Content, Logo image, Twitter, Sidebar Ads/Banners, Header and Footer script codes.